We have had a fun week! We schooled Monday & Tuesday – then we lived schoo l on Wednesday when we went to the municipal airport here in town. We were so excited to see the B17 bomber they had in for the week! It was great timing! The boys learned a lot about WWII and they got to go inside the plane and see what it was really like to fly in it. This bomber actually still had the guns on and it was so fun to see! Unfortunately I forgot my camera! Fortunately a friend had hers so I hope to post some pics when I get them! It was just great! Yesterday we had our PE day and then had a friend come over and play. The boys played legos for a while on the floor while I did some stuff around the house! AG had her first playdate alone at a friends where she went while we were at PE and lunch, then she even napp ed there! Neelee said the girls were so good and played so well together! It was great, AG did not even want me when I got there to get her – she ran off to play some more! 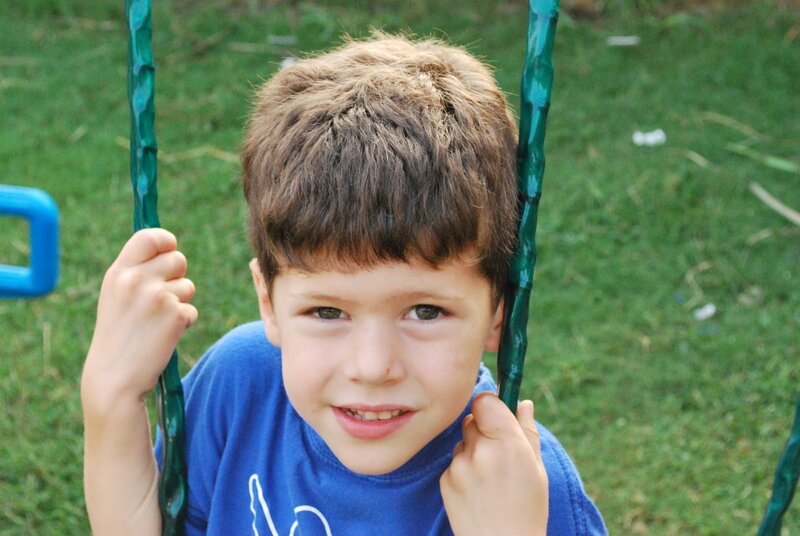 Here is a picture that Neelee took – neither girl wanted their picture but she got this one! 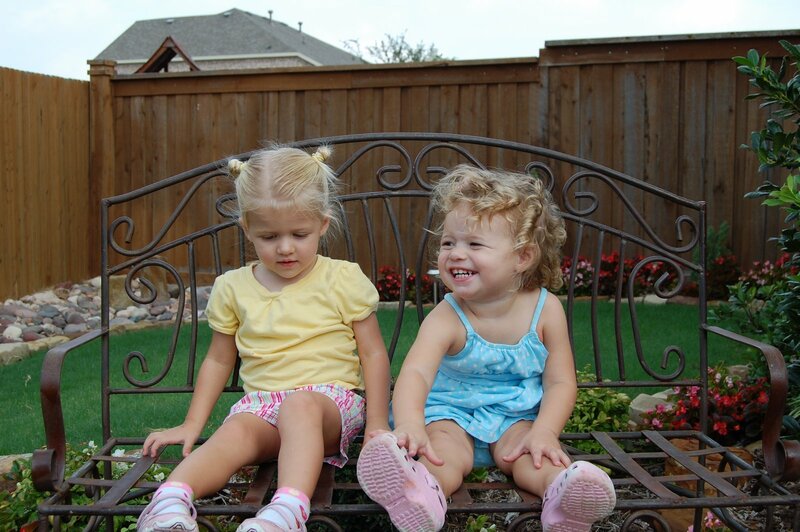 2 little girls – how cute!! Today we took school on the road, we did our math in the car while we waited for Discount Tire to open. Then we did reading while we waited for them to rotate my tires. Then we got the oil changed at Walmart while we looked around (at the toys too – 2 points for mom!). Not much school there. Then for art class we looked around Michaels and got a few craft items. 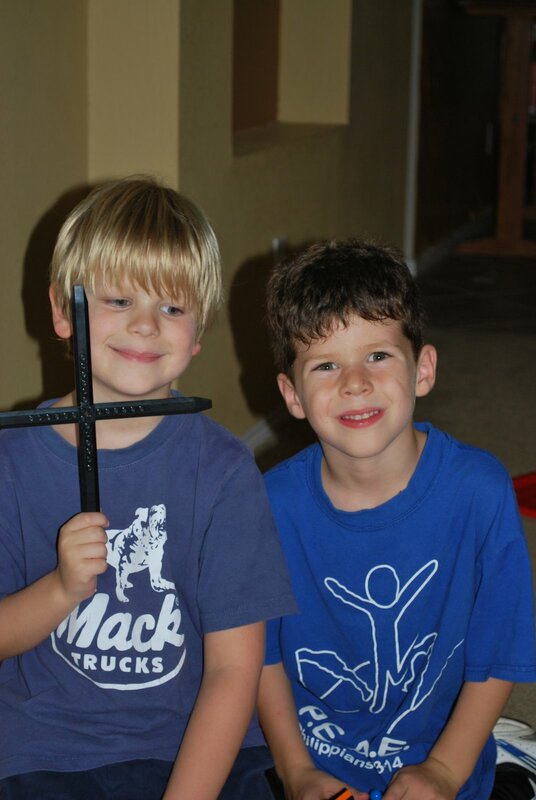 Who says homeschooling is boring? And don’t even get me started on the socialization issue….that just gets too ugly! Now, while we are resting (okay not really) I just checked the mail and we received the best surprise! 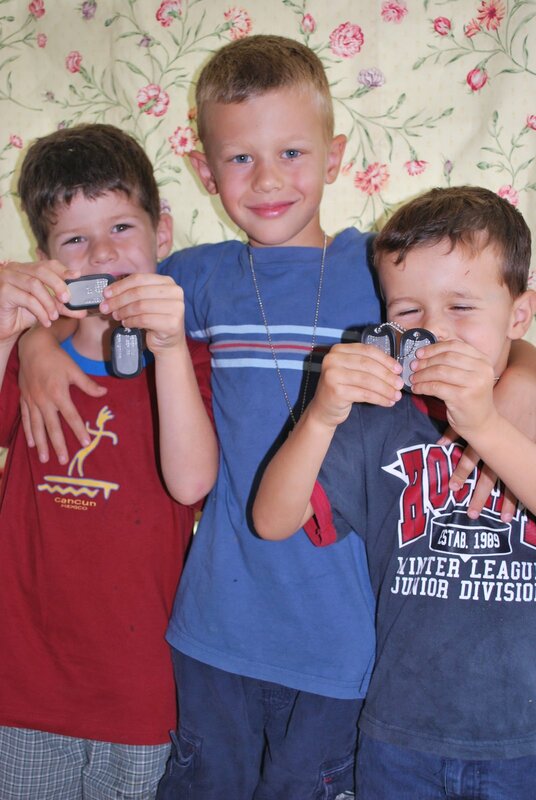 The boys each got a pair of dog tags from Aunt Kristen – which it really is perfect timing as Uncle James just left Monday for Iraq – now the kids have their dog tags like Uncle James and will think about him and pray for him often! they love them!! They are so excited! So this closes a great week for our family – while we brace for Ike – no telling how that will impact us quite yet. But we are praying for family and friends! Previous It just feels right!